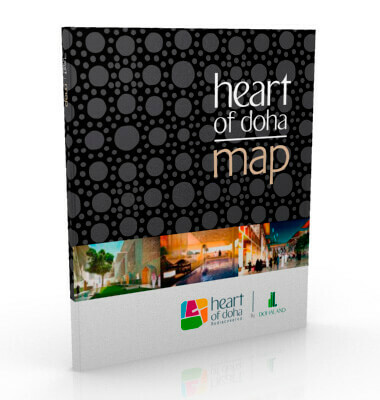 Explorer’s award-winning cartographers and designers worked with Msheireb Properties to produce an unbeatable overview map of the heart of Doha, Qatar. The sophisticated map not only covered the country’s complex road network, significant landmarks and attractions, it also clearly defined the location of Msheireb’s key development. Using satellite imagery, definitive icons and excellent keys, Qatar and Msheireb’s latest properties were pinpointed with precision. The product was printed to specific size requirements and high quality to reflect Msheireb Properties’ brand.